Nutrient releases from the Caloosahatchee River could have increased the duration and intensity of red tide in 2012-2014. During that red tide event, over 200 manatees died and hundreds of birds were affected by brevetoxicosis in Lee County waters. 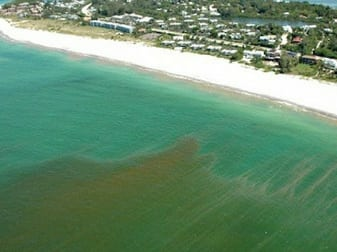 The manatees eat seagrasses that can be contaminated as the beds filter and bioaccumulate the red tide phytoplankton. This project will determine the areal extent of toxic seagrass beds and the time period during which they are toxic. The brevetoxin in measures using a enzyme-linked immunosorbent assay (ELISA). In conjunction with Dr. Heather Barron of CROW, we determined the number of birds and turtles with brevetoxicosis using the ELISA. The correlation of the numbers of acres of contaminated seagrass beds, the numbers of birds, turtles and manatees affected with red tide duration and intensity and nutrient loading levels will help us more fully understand the effects of excessive runoff on the fauna in our estuary.